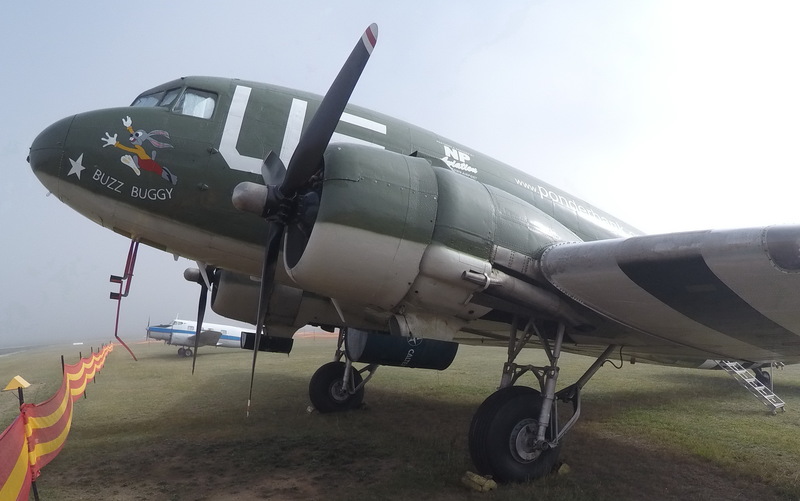 In August 2016, a C47 will depart from Australia and fly through Indonesia, Malaysia, Thailand, Myanmar and "across the hump" to Kunming, then on to Guilin, China. The final resting place for this historic aircraft is to be the main exhibition display at the Flying Tiger Heritage Park and Museum in Guilin, China. This museum chronicles the critical contribution made by the Flying Tigers and the pilots who flew the hump to supply the Tigers during World War II. 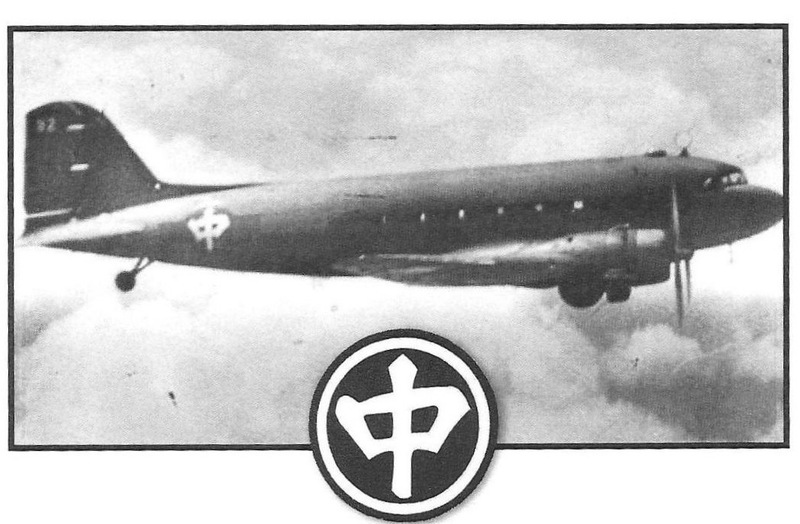 The timing of this flight is most critical, because at this moment, the United States, in cooperation with the Government of Myanmar, is currently conducting a MIA search and rescue mission for the remains of the 600 aircraft and 740 American crew members and other nationalities lost during this hazardous mission. The Flight is being conducted to honor those men who served to bring victory and peace, and to the friendships between nations today that are charged with keeping the peace. The Aircraft will be flown VFR via Darwin, Bali, Jakarta, Johor, U-Taphao, Chiangmai, Mandalay, Kunming, Guilin. *ENGINE FAILURE - Emergency Landing in Surabaya, Indonesia. 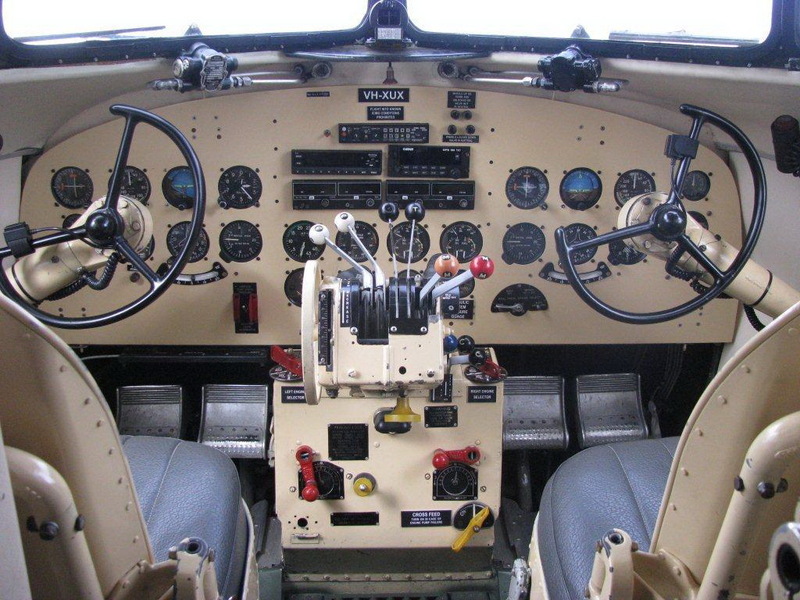 This is a very old aircraft and the engines have been carefully restored and prepared for the journey. Weather during the monsoon along the route will be a factor. The aircraft runs on 100LL avgas, which is harder to locate these days. We are receiving very kind assistance from the countries along the route. We have also heard that the Air Force in Myanmar may be interested in assisting with this historic flight. The Myanmar Air Force still operate PT-6 piston training aircraft at Meikhtila, and they have 90-92 octane fuel from China. This could be an exciting chance to work together and form friendships that honor a brave and historic past. We will update as this mission progresses. On 16 August, we flew from Darwin to Bali. Total time was a little over 6 hours in the air. It then took us 5 hours to refuel the plane from 11 drums of Avgas and to add 7 gallons of oil to the engines. On 17 August, we departed Bali for Johor (Malaysia). After 1hr 30min into the flight, smoke appeared coming from the left engine. After 15 seconds, the engine started to vibrate severely, then fire appeared. We shut down the engine and diverted to Surabaya (25 minutes away). The Indonesian ATC was very helpful and we landed safely. We have located several engines. We have to ship the engine to Surabaya and install it before the end of September. We are on the clock, because the annual on the aircraft expires in the end of October. All of our crew is working for free. In late August, we purchased a replacement R-1830 engine (which weighs over 1,000 kilograms). It is now in Melbourne, as we are trying to negotiate the very complicated procedure to import an engine into Indonesia. The first quote we received from the maintenance firm located next to the aircraft wanted to charge us us$12.5 per kilo "Handling Fee" to import the engine. As you can see this process is going to be interesting. Larry Jobe is now in Surabaya and the American Consulate has been advising and assisting us with negotiations. THANK YOU EVERYONE who has believed in this mission and has generously donated to our replacement engine. Thank you to Al Marsh for his update in AOPA MAGAZINE. If you were wondering how long it takes a bunch of mostly 70-year old guys to change a 2,000 pound engine on a C-47 in the 30*C heat, the answer is 9 days. We had hoped it would take 5, and it almost did, but we had to make sure. The amazing story is how we did it. Indonesia has to be one of the most corrupt countries in the world. There is no straight answer to anything. Whatever is negotiated, then changes. Whatever amount is agreed upon, is then increased. This is a land where a very unique and special style of negotiation is called for. We started with a 500 us$ per day parking fee on an apron that belonged to the Navy. The chaps charging us, didn't even own it. Then there was the us$20,000 Customs "Handling Fee." We knew this was going to be difficult. We started with what is called in Indonesian as "Makan Tulu" (eat first). It took us about 2 weeks of forming alliances and getting our story in the Jawa Pos newspaper to change the tide of the forces against us. In most parts of the world, if you have an engine failure, everyone wants to help you; our experience at the airport in Surabaya was that, as soon as we had landed safely, everybody wanted to eat us. It started with our having to wait 3 hours in an Immigration holding area. They could have just given us a 30 day "tourist" entry Visa, but instead, they were trying to find some way to fine us and detain us, perhaps to extort money from us. Barry found a used engine back in Australia. Tom and Larry hit the ground hard and found the way to get the engine into Surabaya. Our new allies were the Chinese Consul General and her Economic Attache. They went with us to meet the head of Customs. Normally, Customs can hold an engine for up to 30 days, and it is also impossible to import a "used" engine. There are no "new" C-47 engines, but it was useless to explain that, so we instead imported "spare parts" for a complete engine. At one point in the negotiation, the head of the Indonesian Customs looked at us and said, "why is the China helping the America?" And there we were, and they certainly did help us. We cleared the engine in 2 days. The next problem was how do a bunch of mostly 70 year old chaps load a 2,000 pound broken engine into the back of a C-47. We were not allowed by Customs to ship the engine out. No; we had to fly it out. Next to us on the ramp, were about 15 Russians who were repairing their Sukhoi Jet. They invited us to drink Vodka with them. Tom and Barry were the designated drinkers. 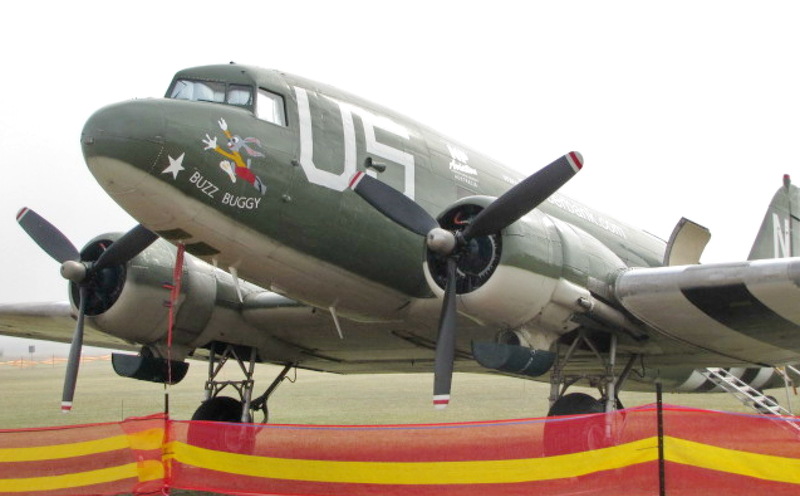 We asked them how they would load a 2,000 pound engine in a C-47, and they knew exactly how. More Vodka. The next day, we had a crane, some wooden palates, a few metal pipes and our 10 Russian friends. We lowered, levered, and heaved the engine right in and up inside the plane in about 20 minutes. No problem, more Vodka. And we learned the very important Russian Folklore expression, "Nee VeeZhoe PreeCheeNee, ShtoeBey Nyie VeePyiet" (there is no reason not to drink), and we made some good friends. The story goes on.... (more later). After a month in Surabaya, Larry was awarded the honorary "Surabayan" T-shirt. The symbol of Surabaya is a Crocodile and a Shark circling around a minaret. Aviation is a very small world, and the Thailand EAA Chapter had hosted "Buck," the Manager of the historic Republic of Singapore Flying Club, for a talk on the history of aviation in Singapore. Buck asked us why we weren't stopping in Singapore on our way North. We said that Johor in Malaysia was a cheaper option for us. It took Buck a few seconds to change our minds, and we received the most tremendous and welcome hospitality that any war-ravaged Surabayan C-47 crew could imagine. The club donated us a free drum of W120 Aeroshell Oil. All fees were waived. Jet Aviation took wonderful care of us, and all the members of the Flying Club turned out to greet us and take us to dinner and help with absolutely anything we needed. It didn't take Barry and Mick long to pull the cowlings off and start sorting out our rough magneto, and 2 days turned into 5 days. Seletar has some pretty strick rules, and you can only run up an engine in a special run-up area. This rule was enforced the first couple of days, but when they realized how long it takes a bunch of mostly 70 year old chaps to follow this procedure, an exception was made for an "APU-style run-up" in our special parking area. In the midst of one of our repair sessions, some young Singaporeans peered through a fence and politely commented, "You guys look like The Expendables..."
As we landed at U-Taphao Airbase in Thailand, the news was spreading that the beloved long serving King Bhumibol of Thailand had passed away. Everything was very quiet. We shut down and met with some Thai Navy personnel and handling agents, but there was a deep sadness and stillness in all the people we met. The plane was flying well. 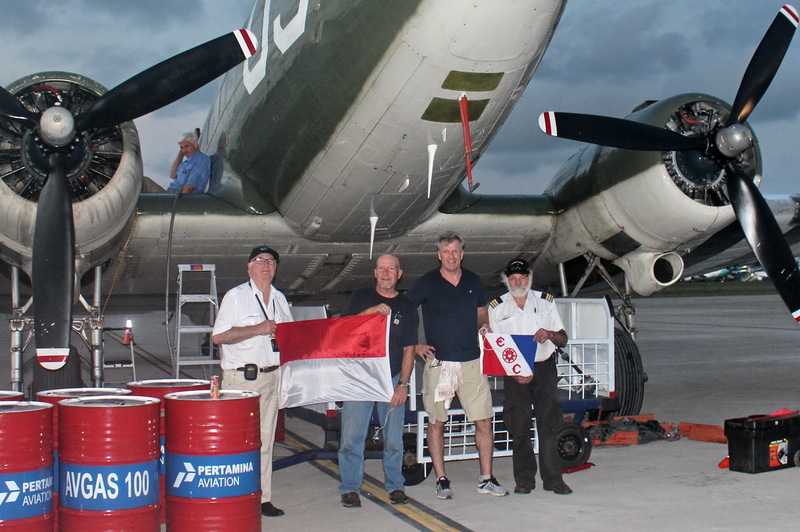 We topped off with drums of fuel previously arranged by Indochina Aviation and were hungry and tired. The following morning, we departed for Chiangmai low level. We made a low pass over the headquarters of EAA THAILAND which had helped us with connections on shipping agents and secret procedures to get a "used engine" imported into Indonesia, then proceeded north to the West of Bangkok. The weather was fine, and we had another refuel and flight plan stop in Chiangmai. As we crossed the FIR into Myanmar, there was a marked change in ATC procedures. For one, we could barely understand the chaps in Mandalay. Then there were 3 or 4 aircraft talking over each other, and when they blocked each other out, they spoke louder and faster. It was feeling a bit like the wild west. We passed over TaungGyi, then some mountains and down into the Irrawaddy Valley. We managed to slip in before the 3-4 other aircraft and taxied up to a warm group of spectators waving American and Myanmar Flags. 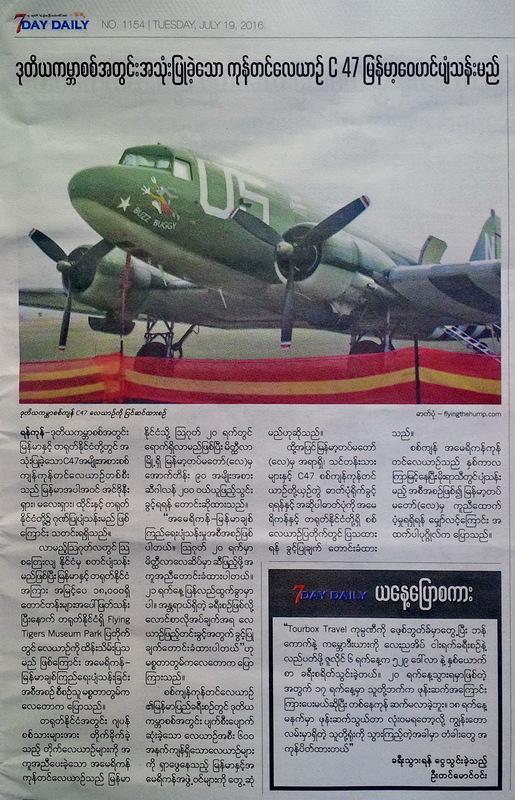 There were hugs and smiles and we clambered out, and then the greatest surprise of all -- the Myanmar Air Force "TatmadawLey" pulled up in an army truck with 4 drums of Chinese Avgas and a hand pump. 5 very smart and polished Air Force Officers presented themselves, and announced that they had been waiting for us for 10 days. What a tour-de-force, and a salute to our friend, Danny, the Israeli Ambassador who personally went and met with the Commander of the Burmese Air Force to request their help with this honorable mission. That evening, we were taken to the Jefferson Center in downtown Mandalay to give a talk about our journey to a packed room of Burmese English-speaking enthusiasts who had been following our progress on facebook for almost 2 months. We had finally made it. We had a delicious Burmese dinner arranged by our Indochina Aviation hosts who had come to Mandalay to help smooth the delicate process of departing to the East over "The Hump." 15 Oct 2016, A text message to our friends: "We have crossed from Burmese to Chinese Airspace 15 minutes ago at LINSO point time 03:33Z‎ (11:33 Local Beijing). We immediately received excellent comms from Kunming Radio. We had to flight plan out of Myanmar at Flight Level F270, but we stopped our climb at 12,500'. As soon as we had contact with Kunming, they requested our climb to 4,500meters (14,800'). All his years in Papua New Guinea (45 years ago), he never climbed that high. We put the engines forward to climb power at 2350 rpm and 28" manifold pressure (we are off the placard charts on performance). The plane climbed right away and smartly to 14.7 in about 5 minutes. It is getting a little chilly now, and all of us forgot to put our wool socks on. Below us are sharp valleys and jagged brown rivers flowing back and forth. We have passed the few CB thunderheads on the border and we are about 500' to 1,000' above a cloud layer now. Larry has brought us up a bottle of O2 in case anyone feels light headed, but we are all feeling good at the moment. We are now passing overhead Lintsang Airfield (ZPLC). The Kunming Radio chaps speak perfect English to us, but all other traffic is speaking Chinese. A large town now appearing on the left. We are about to go into cloud again. Present groundspeed at this altitude is 150 Knots. We are now running on the Aux tanks which is the fuel (90-95 Octane) that the Burmese Airforce (TatmadawLey) kindly brought to us by truck from Yangon to Mandalay, then they pumped by hand 4 drums into our wings. We are now 1 hour out of Kunming. Larry says he will Kiss the ground in Kunming. This is an amazing airplane. 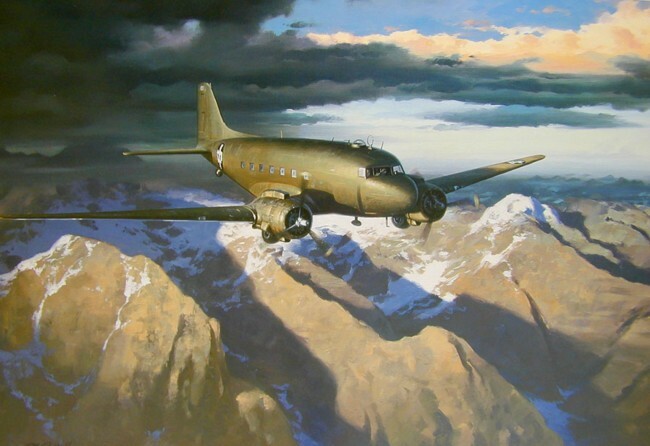 The thought going through all our minds is that after fixing all the things and all the difficulties and the tremendous costs involved with our septuagenarian crew, this may well be the last time any C47 will ever fly the Hump." 15 minutes out of Kunming, we lost the right engine. Smoke, then vibration, but this time we were faster and shut it down promptly. It was the top of the #1 cylinder. Then the fun started. We transmitted "Pan Pan Pan" (distress call) on the radio, but the Chinese controllers were not familiar with this terminology. We then explained that we had and "engine failure" and requested priority landing. They asked if we had and "engine fire," and we said, no, "engine failure." This went back and forth until several Chinese aircraft with Chinese pilots trained overseas explained that we had a problem and had to land immediately. We were cleared in, but they wouldn't give us the final turn onto approach until we confirmed visual with the ground. There was a lot of haze, and we could see the runway on our GPS. Finally, we saw the ground and were turned in, but now we were too close and too high. We declared that we were going to "orbit left to lose altitude," but that caused more confusion and they asked why we were changing heading. Finally, we were down where we should be and lined up to land and roll off again on a high speed taxiway, so we wouldn't block landing traffic which seemed to be at the rate of one aircraft every minute on the two runways of this airport. We rolled, and taxied as far as we could, then shut her down. Emergency vehicles and spectators lined the sides of the taxiway. We were towed to a parking area, and as we looked around, there were about 500 people there to greet us with banners and flowers. We had made it over the hump... One last time. Sometimes, a bad thing is a good thing. We had lost another engine, so we couldn't go anywhere. The following day, we were loaded into a van and driven out of Kunming and up a mountain side almost 2,000'. We finally stopped in a pine wood, with soldiers at attention, and long flight of stairs up into the wood. As we climbed, we could see a towering marble structure with Chinese characters on the front. This was a monument to the Hump Pilots of World War II. We assembled in front, and listened to sobering Chinese music, and then we were asked to place flower wreaths at the base of the monument. There was a 1.5 meter cut down through the center of the monument. We were led into this corridor by the soldiers. One of the translators then told us to clap our hands. The sound echoed off the walls, and the translator said, "Do you hear that... that is the sound of the Japanese guns shooting at the pilots who flew the hump." As we emerged on the far side of the monument, there was a wall carved in Chinese and English. "This monument is to honor the American pilots and other nationalities that flew the hump during World War II to save the Chinese people." My eyes watered as I started to realize what this place was and what we had sacrificed here. Defense POW/MIA Accounting Agency Thailand (Det1) Flag courtesy of Kevin Pritz, John Lee and Chris Mosenbach carried "Over the Hump" on 15 Oct 2016 to honor the crews of over 600 aircraft lost flying The Hump in WWII. That evening, we were taken to the Flying Tigers Restaurant in the heart of Kunming. This was the very same place where Claire Chennault and the Flying Tigers used to hang out during World War II. The walls are adorned with black and white photographs and paraphernalia from that time... and today, it has become the home of the "Flying Tigers Hot Dog." After a delicious dinner, members of our intrepid crew joined our China Friendship Association Attache "AJ" to another special place -- "The Hump Bar." 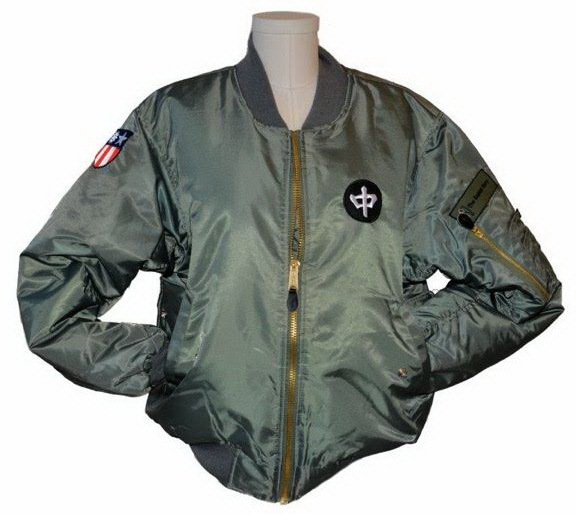 Here we found more photos, and flying jackets on the wall, ice cold beer and some members of the Chinese PLA Army. We greeted each other warmly without speaking any words that the other could understand and pointed to the C47's on the wall and explained that we just did that... They came to our table and invited us to stand for a toast. It was a fine end to a long day. In November 2017, The Chinese purchased a new engine and the aircraft finally arrived in Guilin. It now takes pride-of-place at the Flying Tiger Heritage Park and Museum with a plaque to those who helped us secure a replacement engine when we were up against the wall and very close to having to abandon the mission in Surabaya, Indonesia, and to the crew who brought her here. After successfully completing the mission, there are many people who helped make the expedition a success. One of them is Indochina Aviation Services who provided tireless help in obtaining and changing and re-obtaining flight clearances after our many technical delays through Thailand and Myanmar. Both of these countries require "local handlers" to apply for clearances and to handle the flights through the country. Indochina Aviation did this for us at cost and did not gain any profit from their services. 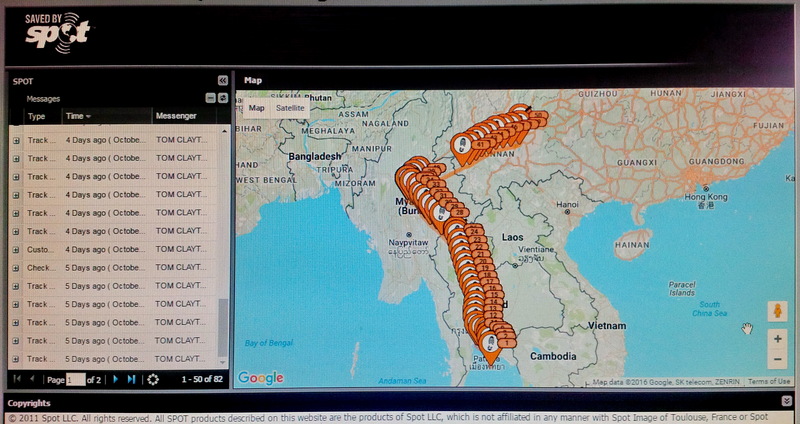 The most delicate matter was the air route out of Myanmar to China "Over the Hump." This route requires a minimum flight level of 027 (or 27,000'). Our aircraft was not able to reach this height, so some very creative flight operations garnered from years of operations in Africa and Asia were employed. Indochina Aviation also advanced considerable credit in covering the costs of clearance requests, fuel reservations, air navigation fees, landing, handling, hotels, food, etc for the crew. The total cost for the operation was US$12,154. US$10,000 was advanced prior to entering Thailand, and Indochina Aviation has sent an invoice for the remaining US$2,154 to the Flying Tigers Historical Organization (Jan 2017 and again in May 2017). 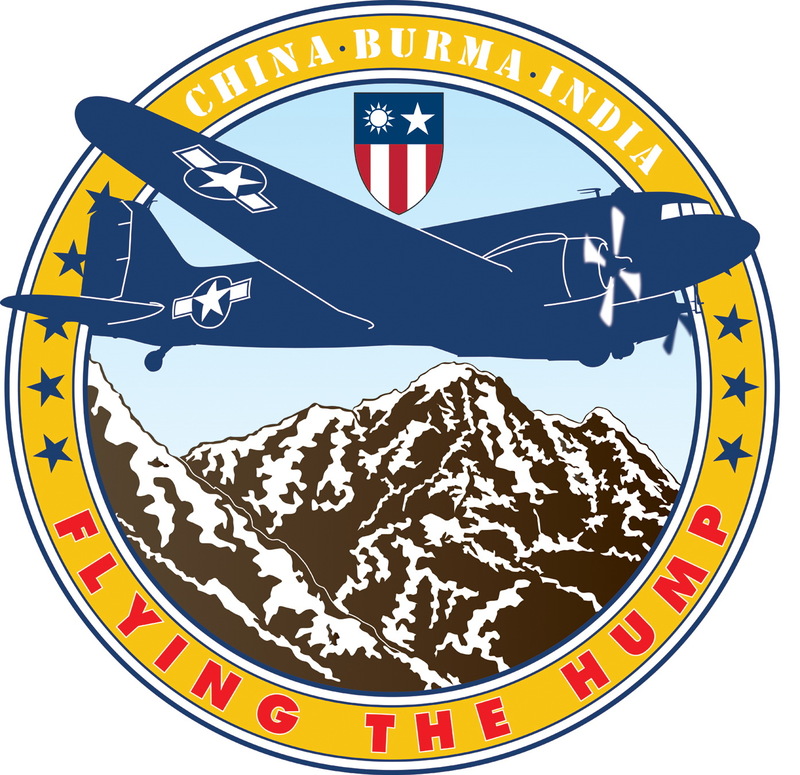 We are hoping that either the Flying Tigers Historical Organization or the Flying Tiger Heritage Park and Museum in Guilin, China will honor the spirit of the brave men who flew the hump in World War II by honoring the support received by Indochina Aviation and reimbursing the expenses incurred during their support of the mission. Ed & Joey Story and The Elephant Story have been generous contributors for our replacement engine. 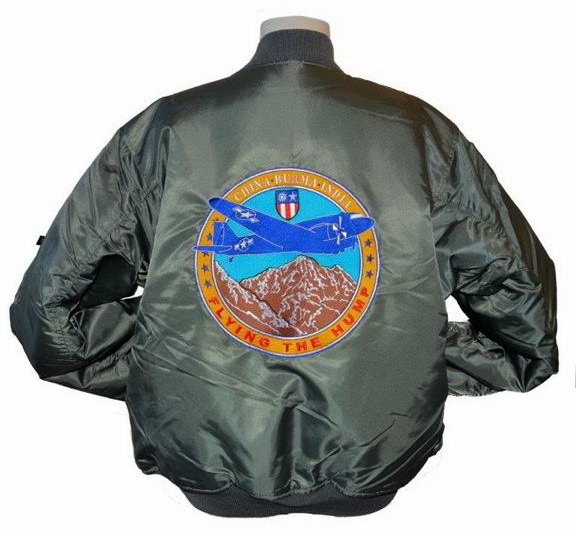 They have also designed a "Commemorative Hump Flying Jacket." 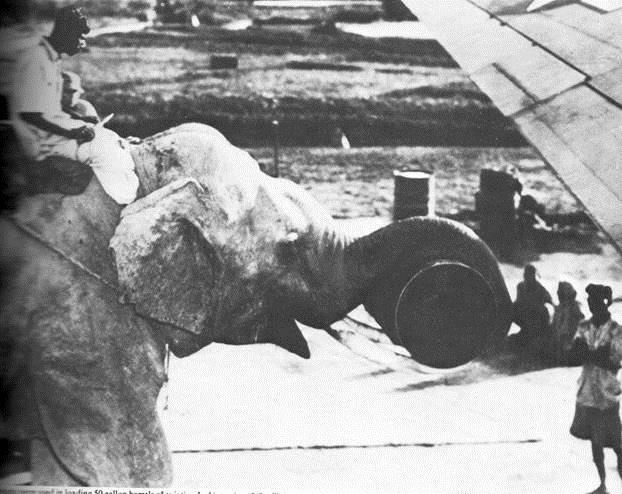 Elephants were used during World War II to help load drums of fuel onto aircraft flying the hump, and The Elephant Story supports conservation of Asian Elephants -- Order Hump Flying Jacket. Dear Tom, I have been following your flight having been alerted by Peggy Maher of the CNAC Association. Sorry to hear about the engine failure, congratulations in getting it down safely. My father, Gifford Bull, flew the hump for CNAC from late 1944 to August, 1945. He took a number of pictures during that time, most of which we know the location. But for a few I don’t have a good location and can’t find a match using Google Earth. Guessing from your proposed flight plan between Mandalay and Kunming, you will be taking a conservative approach and roughly following the Burma Road. This would bring you close to where I suspect two of his pictures were taken. 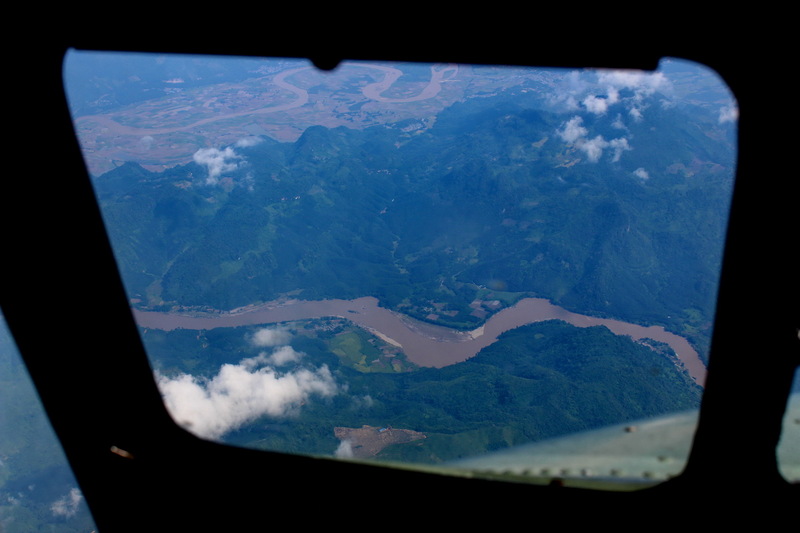 He captioned them as coming down [from the Salween ridge] to the lower country around Paoshan. Would you be interested in seeing these photos and seeing if they match as you go? If you are, is this the place to send them, or is there a better way? Chris Bull -- ps. 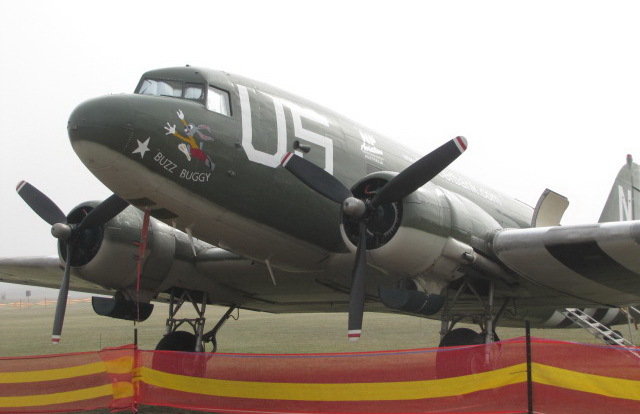 I recognize the photo of C-47 CNAC #82 in flight on your web site. This photo has become fairly widely distributed and attribution is frequently lost. It was taken by James Dalby, another CNAC pilot. My dad made copy negatives of some of the Dalby collection, so I have a print that is higher resolution. Alan, A personal note about the "Hump." A young man, Ivy Reese, lived near us and had enlisted in the Air Force and had become a pilot. 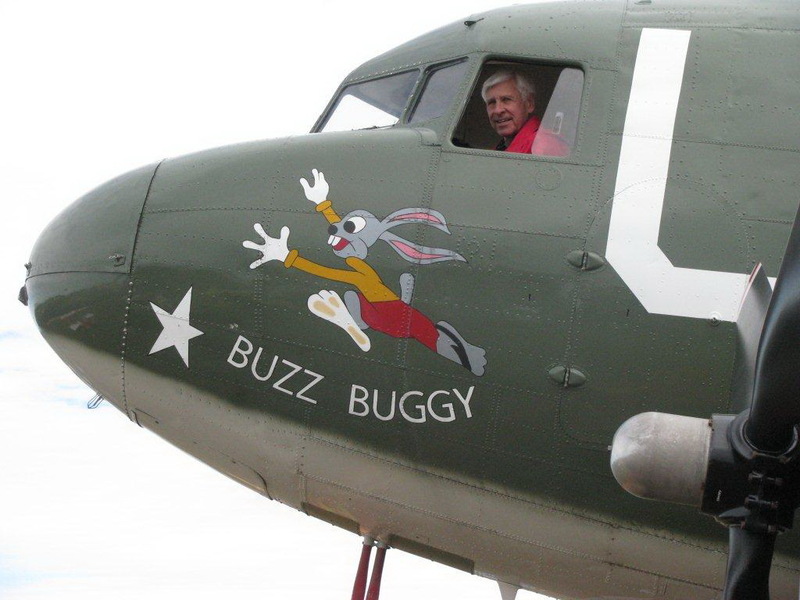 He was home on leave before shipping out to fly C-47's over the "Hump." He was in his uniform and stopped by to visit. I was 10-yr's old. Daddy was a tank maintenance officer for Gen. Patton in North Africa and my brother was on a Destroyer in the Pacific. Lt. Reese thrilled me with flying stories and was a part of my determination to Fly. Ivy disappeared on a flight over the "Hump." Don't know how much longer America can last before collapsing. Keep the "blue side up,"